The Singapore-based Global Citizen Forum will submit a development plan for the Sree Padmanabhaswami temple before the Supreme Court. 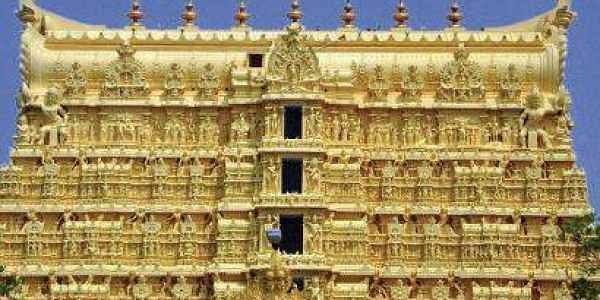 THIRUVANANTHAPURAM: The Singapore-based Global Citizen Forum will submit a development plan for the Sree Padmanabhaswami temple before the Supreme Court. “The plan will include suggestions to establish a foolproof security system and exhibition of selected valuables in the ancient treasure,” said Bhupendra Kumar Modi, GCF chief and prominent industrialist.An advaita vedanta learning centre will be established near the Padmanabhaswami temple where people of all religions can receive lessons on advaita vedanta philosophy and Hindu spirituality. Discussions will be held with the members of the erstwhile Travancore Royal family, temple staff, devotees and hindu organisations to prepare the plan. A two-day workshop was held in the capital to discuss the development plan. Aswathi Thirunal Gowri Lakshmi Bayi, senior member of the Travancore Royal family, social worker Tarun Vijay, World Hindu Federation representatives Preeti Malhotra and Ajay Singh addressed the workshop. Very good initiative to protect Sree Padmanabha Swamy Temple, Adavaida philosophy, Sanathana Dharma etc. Can expect another Hartals by intolarant Kerala ties?